Lunaheart makes a prediction for a future if Shadowkit was evil. So before I begin I would like to thank alpacatuft for the idea! 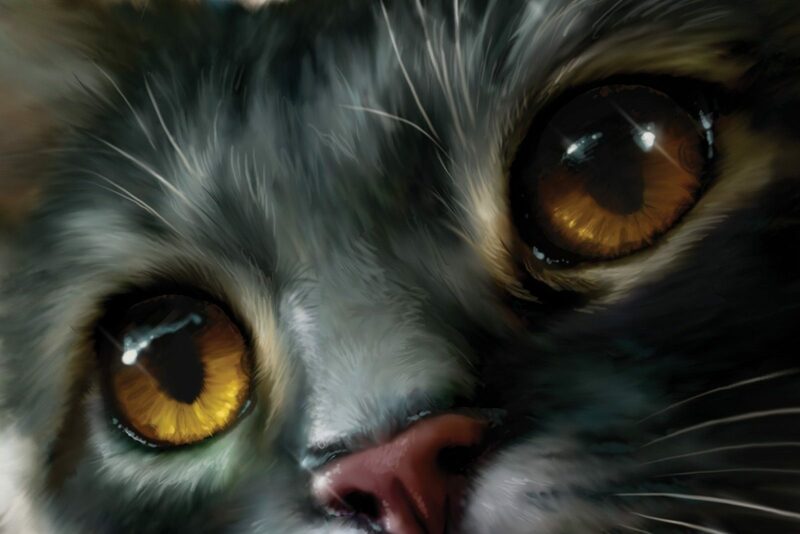 So in a vision, puddleshine sees spirekit as the medicine cat apprentice instead of Shadowkit. Tigerstar the II takes Shadowkit aside and tells him that somethings aren’t ment to be. Pouncekit And lightkit attempt to comfort him and their relationship grows. Shadowpaw, like Alderheart, is not very good at being a warrior, like having a vision while stalking prey, fighting etc. 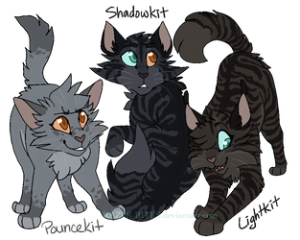 The mentor gets a little exasperated at shadowpaw and the other apprentices tease him. On top of that, spirekit isn’t very good at being a medicine cat apprentice, like hollypaw. He forgets the herbs, and freezes at the sight of blood.When Shadowkit is squeezing dead mice as a punishment for letting a younger apprentice beat him in fighting he finds and steals some dried yew berries and slips them in spirekits prey. Spirekit dies, And Shadowpaw becomes the medicine cat apprentice in his place. All Of BlogClan:*nods slowly* yep. definitely. I have very very VERY weird thoughts. I love it! I was hoping for him to be evil, since in warriors, they can never be too much peace! This would be really cool!!! Great idea! !